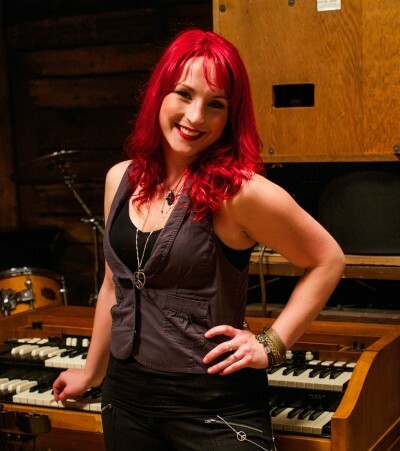 Hailing from Montreal, Quebec, Marine Lacoste is the keyboardist for Uncle Kracker and The Smokin’ B3s. Drawing in from her passion for rock, blues and country, Marine brings with her a unique musical touch, a mesmerizing and contagious presence, and the highest level of professionalism. From soaring melodies and pleasant ballads to powerful rocking riffs, she takes every performance to the next level. Whether it’s behind a Hammond Organ, a grand piano, an electric piano, a synthesizer, or even a keytar, she stops at nothing to bring every song to life and light the audience ablaze. In addition to being an active member of the Uncle Kracker team, she has also shared the stage with several artists such as Kid Rock, Sugar Ray, Steve Harwell (SmashMouth) Jacynthe (Festival des Montgolfières), Pitbull and Big Wreck (Nascar) just to name a few. Also, Marine has had the opportunity to appear on television shows such as MusiquePlus. This summer, Marine is part of Uncle Kracker’s band on the ‘’Under the Sun 2015’’ Tour, along with Sugar Ray, Better Then Ezra and Eve 6.